Campaign "Car Seats for Children"
On the New Year’s Eve we rush to buy gifts and above all we want to please our children. Often we forget that a car we are driving to search for presents is a vehicle of heightened hazard and that the younger is the passenger the greater risk he is exposed to. The statistics shows that almost 7000 road accidents involving child-passengers occurred for nine months of this year, 400 children were killed and 7650 children sustained injuries. And according to the All-Russian Center for Public Opinion Research studies the number of car owners who don’t have any child restraints or who don’t plan to purchase child seats has significantly increased (from 39 % up to 70 % in Russia and from 38 % to 71 % in Moscow). “Car seats for Children” campaign is waged in Russia for the second time. The first event was launched on 1 November 2011 and had positive outcomes. Nevertheless this is a burning issue because road casualties and injuries among children are still very high. That’s why it was decided to stage this campaign again. The objective is to convince parents that a special car seat is vital for the safety of their child. Even on the first trip from a maternity home a newborn should be transported in an infant bucket seat. One more expensive toy is not a sign of real parent’s love. Real care comes out of the adults’ responsibility for their children. Safety of a child is the best New Year gift! 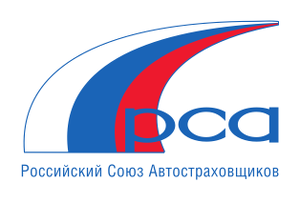 It is for 75 year running that the General Department of Road Traffic Safety of the Ministry of Internal Affairs of Russian Federation has been involved into serious activity to prevent motor vehicle accidents (MVA). There are numerous programs underway to decrease MVA statistics, to improve driver training and behavioral response for all road traffic participants. Conducting social campaigns aimed at teenagers and children the State Traffic Police is investing into the safe driving in the future. The Russian Association of Motor Insurers (RAMI) is a non-government organization involved in obligatory insuring liability of the owners of motor vehicles. RCIU was founded August 8, 2002 by the 48 largest insuring companies in Russia; the union was officially registered dated October 14, 2002; in fact the union is the first professional union on the insurance market having the status confirmed by the effective Russian legislation. RCIU is permanently involved in initiating campaigns to improve the road traffic situation actively promoting the importance of increasing the safety status of not only drivers but passengers as well. We unite all who is not willing to stay passive on the issue of extremely high risk associated with driving Russian roads. We unite those who values their lives and who cares about the lives of their close relatives. Those whose potential loss will be always remembered. We stay united to decrease the deadly toll in our roads. We want people to follow the road traffic rules because their children are following their role models. We advocate the polite conduct as living a life charged with positive emotions is great fun. Do you want to drive safely? Join us and invite your friends.